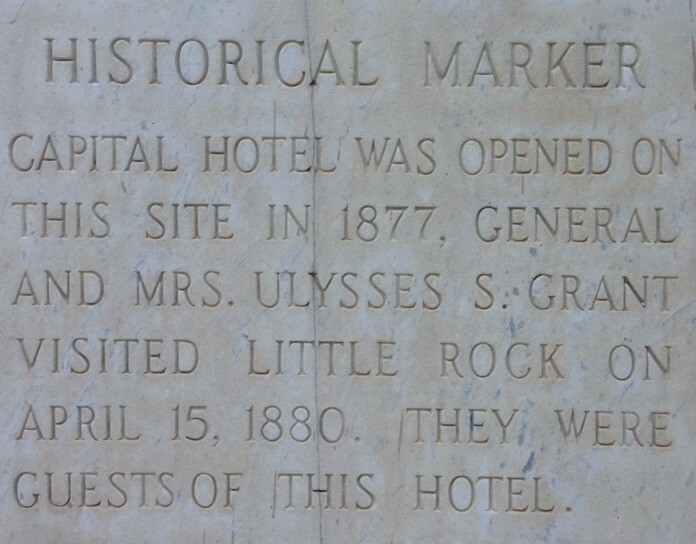 Marker at the Capital Hotel noting Grant’s visit. Notice that it refers to him as General instead of President. At the time, only sitting Presidents were referred to as President.